Ripple’s CEO has won applaud of top crypto experts as his company is growing at a fast pace. We also know that Ripple has registered its blockchain technology with more than 100 banks across the world. Also, the market cap of the company has reached $8 billion which is the third largest cap after Bitcoin and Ethereum. These figures are also sufficient to prove that Ripple XRP Coin is the third most valuable cryptocurrency being used all across the world. Although there have been a little recession due to nothing particular about XRP in swells conference, yet the price of XRP has maintained the level of $2.1 with a market cap of $8 billion. An expert says that XRP is growing fast because of difference between its blockchain technology with Bitcoin and Ethereum blockchain technology. XRP focuses on payments while Ethereum focuses on smart contacts and Bitcoin focuses store valuation. Moreover, the people have also understood that Bitcoin and Ethereum are not just two currencies to rule the crypto market, but there are many other currencies too. Another reason of why XRP has become the third most valuable currency is the transaction time. XRP has minimal transaction time of about 3.6 seconds as compared to Bitcoin where transaction takes about four hours. Thus, we can say that XRP will become the need of the day and more and more banks would start trading in it because of its lightening fast transaction speed. Ripple has started a new Net Accelerator Program to expand its coin across the banks. The company has asked the banks to use this program in return for some payment. 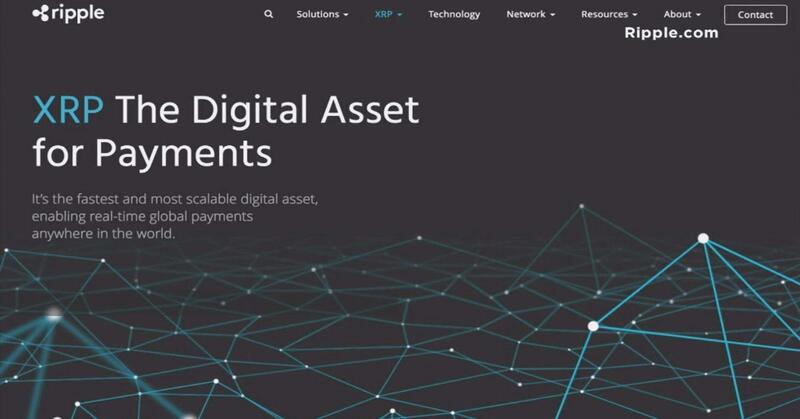 But, it has also clarified that the payment would be in the form of XRP coins. The banks also have the option to choose payment in US dollars. Here, it is important to mention that the price would depend on the size of the bank and the number of transactions they would process. The CEO of Ripple says that our cash flow is growing positively and we are able to invest more which is good for our company. Our success is also because of our transparent policies both with the banks and individuals. The company publishes a report after every quarter which clearly shows the investors that how much the company has sold in open market. And, this positivity in cash flow is due to increasing sale of XRP coins. The only problem behind the Company’s slow growth is that people consider ripple a centralized platform. But, the fact is that Ripple’s technology is open source and XRP Ledger is also open source. The success of Ripple is underlying the sale of XRP. Thus, it is quite clear that Ripple is using decentralization policy as compared to other digital currencies which are using a centralized policy. The official sources also confirm that the company has a grand vision to increase its internet of values. This is why it is offering the banks to sale XRP coins.